On May 25, the COC Ensemble Studio takes over the mainstage of the Four Seasons Centre for the Performing Arts for An Evening with the Ensemble Studio. 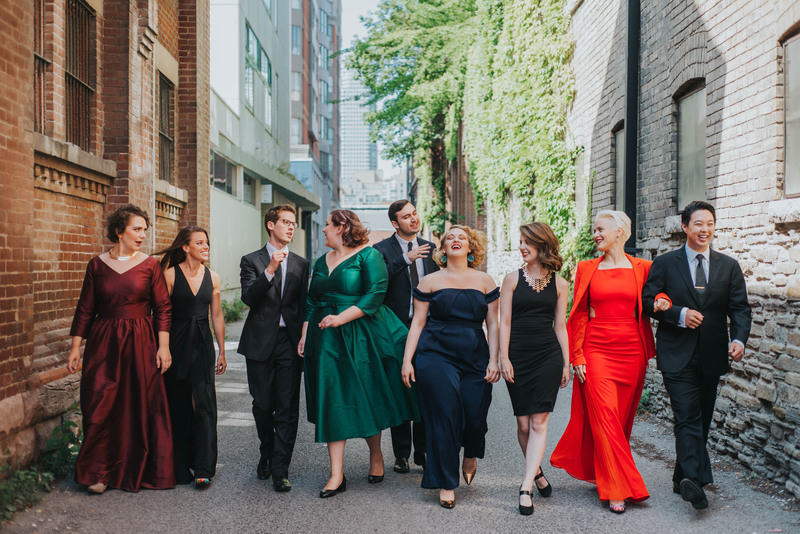 Some of Canada’s most talented young artists perform highlights from Mozart’s wry comedy Così fan tutte and Purcell’s full supernatural epic Dido and Aeneas. We checked in with all nine Ensemble Studio members ahead of the event to find out what audiences can expect from this highly anticipated showcase. After touring the Hilton Toronto’s freshly renovated top floor suites, soprano Keri Alkema, who sings Giovanna Seymour in Anna Bolena, visited the Tundra Restaurant at the Hilton Toronto to learn more about their delicious spring menu.